I guess you could say that I'm a big quote art gal. I love quote art in giant uppercase sans serifs and pretty swoopy hand lettered looks too! 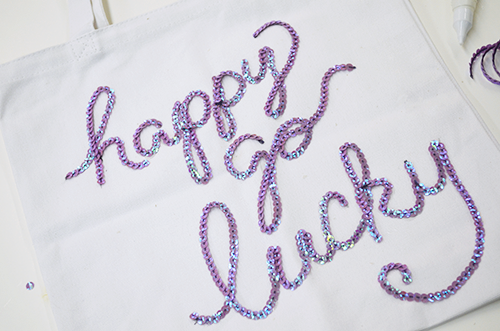 So I love experimenting on different surfaces, from totes to tees to canvas! Here's a fun little DIY I whipped up at work in just an hour or two. Let me show you just how easy it is to make! 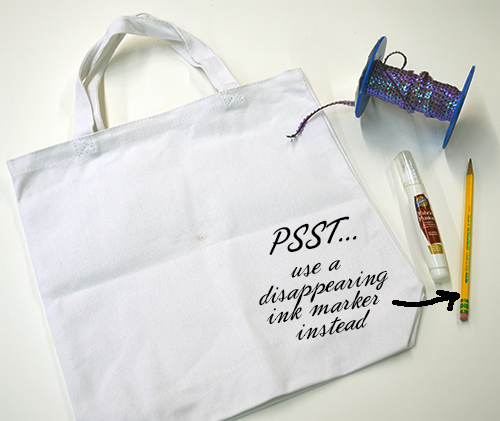 Loosely use your disappearing ink pen to draw your phrase. Do not do as I did and use a pencil (I'm afraid it won't wash out - ACK!) You will be much happier if you do this, I promise. 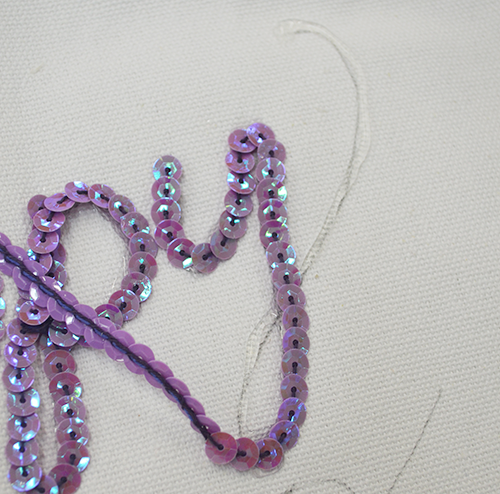 Next, apply a thin steady flow of the Fabric Fusion Pen, doing a small section at a time. 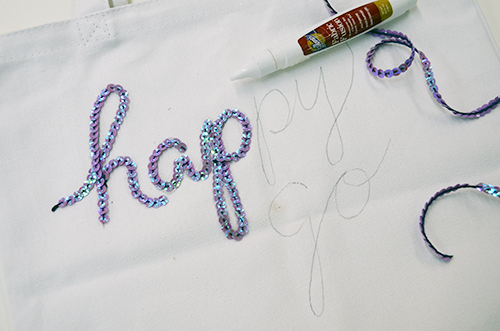 Carefully press the sequins in place. Clip the ends of the letter with your scissors when you reach the end of a word. When you are happy with you design. Set a magazine or book on top and let the glue dry thouroughly. Fabric Fusion works best when pressure is applied so it can get a good, nice bond! Let your glue dry for an hour or two. 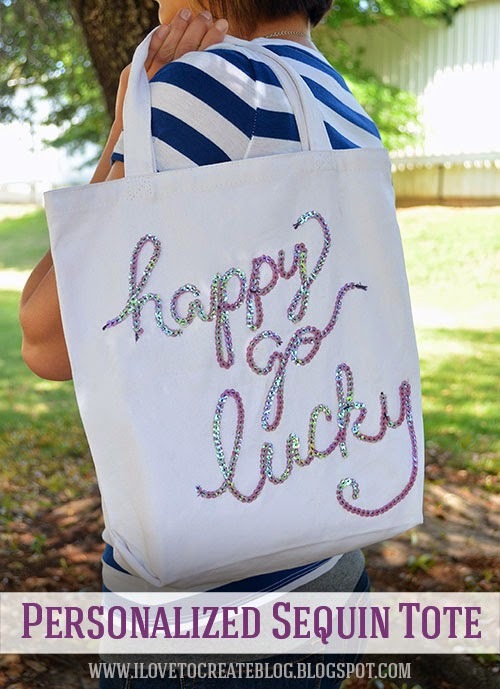 Clip off any straggly strings or dangling sequins and your bag is ready to take out on the town! 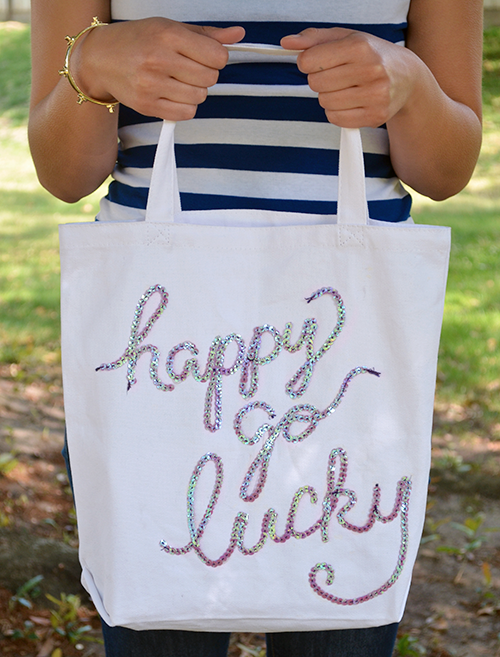 What phrase would put on your tote bag? I'd love to know!! I'm a quote art person too and I LOVE this! will be trying it soon! Thanks for the idea! where did you find the tote bag? Glad you liked it Mary! So pretty! I'm going to try it soon!